The European Union set up a high-stakes battle with Italy, one of the bloc’s biggest economies, over who has final control over a member state’s budget after the executive Commission took the unprecedented step of ordering the country to revise its public spending plans. In a move that escalates a monthlong standoff, the EU said the populist government’s budget for next year is out of line and breaks earlier promises to lower public debt. Italy’s debt load is the second-highest in Europe, after Greece, and there are worries that losing control of spending could rekindle financial turmoil in Europe. The populist Italian government says the sharp increase in spending is needed to jumpstart growth after years of malaise. Since the euro economy can be destabilized when one member-state loses control of its finances, like Greece did a decade ago, the other nations want to have some say over excessive spending, especially when it concerns the region’s third-biggest economy. The EU Commission said it had no choice after Italy proposed a deficit of 2.4 percent of GDP for next year — three times more than it had previously targeted. The higher deficit means Italy would not fulfil its promise to lower its debt, which is over 130 percent of GDP and more than twice the EU limit of 60 percent. EU Financial Affairs Commissioner Pierre Moscovici highlighted how Italy’s budget would hurt its own people by saddling the young with higher debt payments. The cost of servicing Italian public debt is already equal to the country’s entire spending on education — 65 billion euros a year. The EU’s executive wants the Italian government to produce a new budget proposal within three weeks. “We know that we are the last line of defense for social rights of Italians. And for this we won’t let you down. We know that if we would give up, … the experts for the banks and austerity would return. So we will not give up,” Deputy Premier Luigi Di Maio wrote on social media. 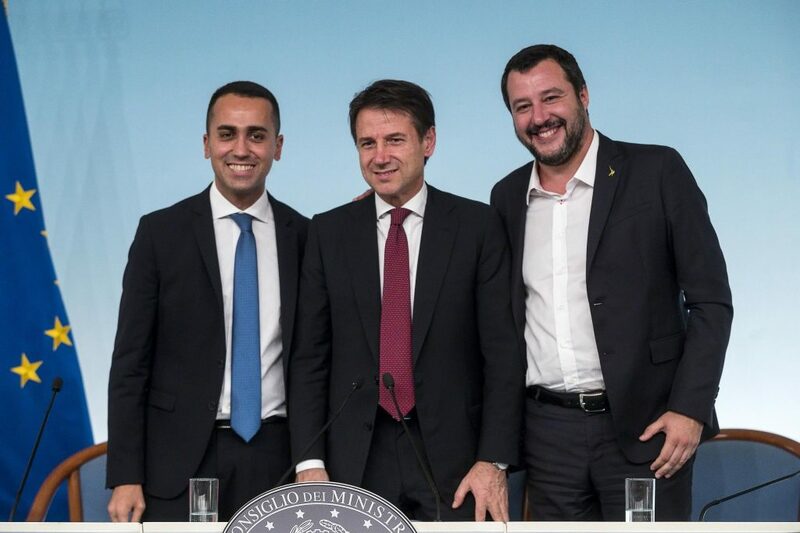 The hard-line stance of the two populist leaders, Di Maio and Salvini, to some degree defies a more conciliatory position by the country’s premier and economy minister, who have said they wanted to sit down and discuss the budget with the EU Commission. But both also have something to gain with their voter base by leveraging a confrontation with the EU, which has been seen as the bogeyman requiring austerity cuts in recent years. European parliament elections loom in the spring and Di Maio and Salvini are jostling to gain influence before then. Markets were quick to punish Italy over the dispute, with the government’s cost of borrowing on international bond markets rising and the Milan stock market falling 1 percent.